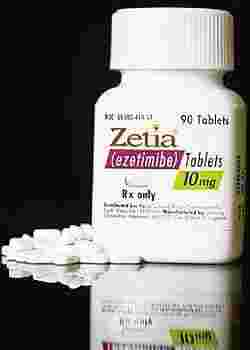 Patent issues: Tablets of Merck’s anti-cholesterol drug Zetia. Mumbai: Glenmark Pharmaceuticals Ltd may settle with US firm Merck/Schering Plough Pharmaceuticals Llc, resulting in the withdrawal of patent litigations related to the launch of a copy of the latter’s $1.6 billion (Rs7,472 crore) in sales drug ezetimibe in the US market next year, according to a report released by First Global Securities Ltd last week. If successful, the Indian company will be able to grab a significant share in the US of the sales of the world’s fourth-most prescribed anti-cholesterol drug because it will then become the only firm to sell a low-cost version of it in the first six months of the launch. Merck sells this drug under the brand name Zetia. A Glenmark spokesperson declined comment because the matter is still before the courts. Merck’s US public affairs executive Skip Irvine was not available for comment. Merck and Glenmark have been fighting a case in the US since 2007 after the drug’s inventor, Schering Plough, sued the Indian firm to block regulatory approval of the generic drug by the US Food and drug Administration (FDA). Schering Plough has since been merged with Merck, which was earlier a marketing partner of the company for Zetia. Glenmark, which sought a marketing approval for Zetia’s low-cost copy in 2006 under the Para 4 provision, however, received a tentative marketing approval from FDA for its generic version in April this year. A Para 4 filing is a provision that allows generic drug makers to launch cheap versions of a patented drug after the expiry of the original patent. The issue comes before the courts if there are challenges moved by the original owner of the drug. The settlement of patent litigation resolves such issues in favour of the inventor as well as the generic company. Glenmark’s US subsidiary Glenmark Generics Ltd had said in April that the tentative approval granted by FDA is for the 10 mg tablets of ezetimibe. “Glenmark would have the earliest opportunity among any competitors to gain market share from the branded product Zetia. But the launch depends upon receipt of final approval from the FDA and resolution of litigation currently pending in the US district court, " said a release. “If the litigation is settled successfully, it will help both the parties to avoid a drastic profit erosion after the entry of the low-cost version in the market," said Hitesh Kuvelkar, associate director of research at First Global in a telephone interview.